A beautifully proportioned and simple industrial style desk. 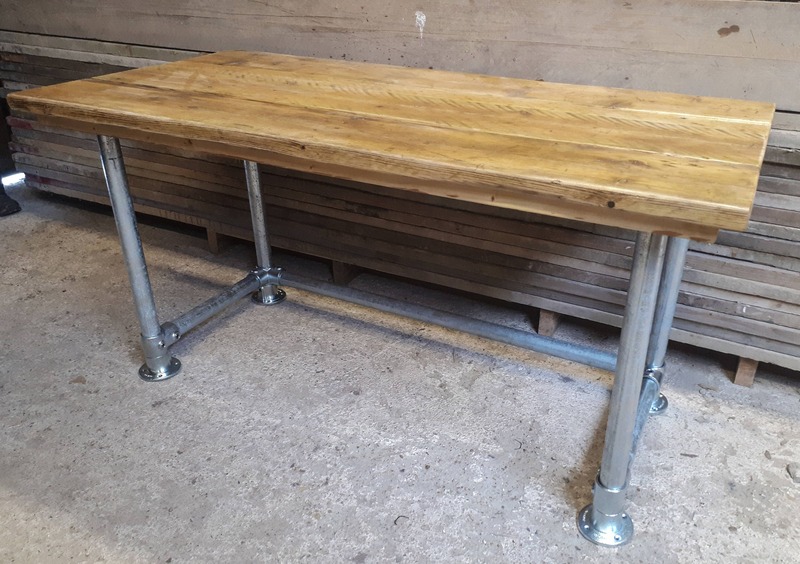 Made from 48mm galvanised steel scaffold tube and reclaimed scaffold boards this desk would look great in any home or office. 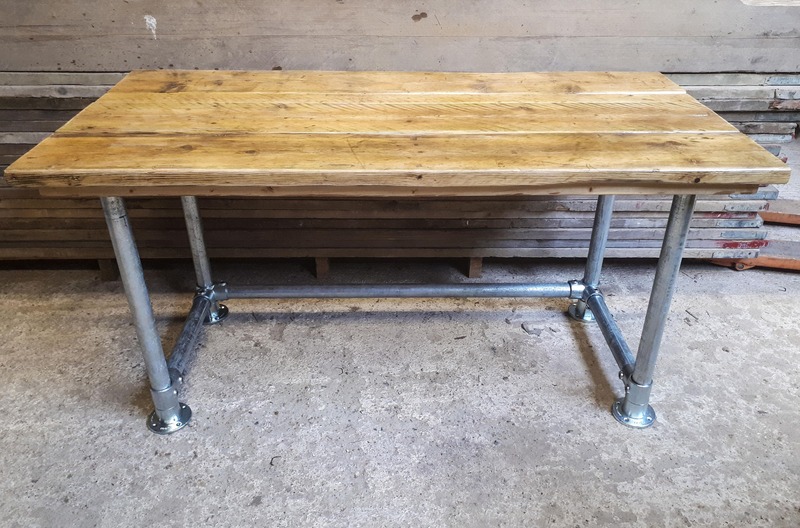 The boards are finished in Danish Oil and the scaffold tube is left natural. 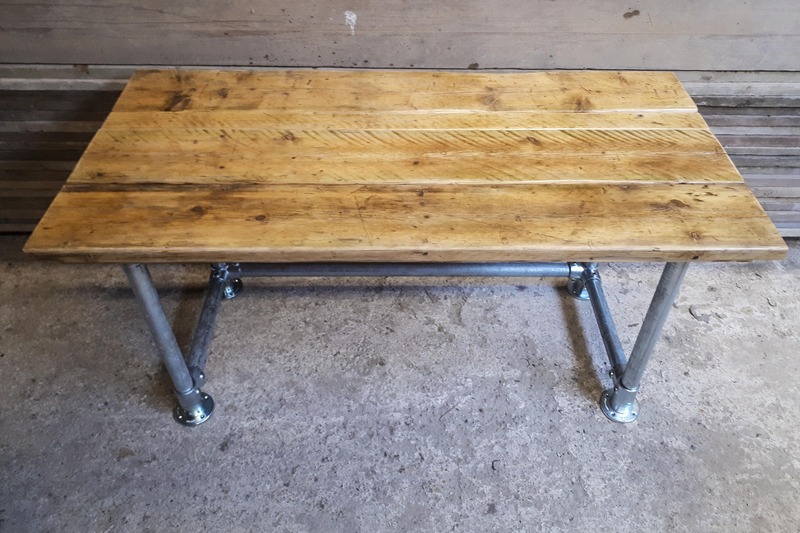 Various standard sizes available to order with a standard depth of 66cm and a height of 72cm.